We are each able to tell the general function of a structure by its form, but there are some structures which may not be so obvious in their intended use. Of course I am referring to the structures which some refer to as sacred architecture. These are buildings that are typically used for religious and governmental purposes. It seems that for some reason, these buildings utilize certain design schemes that are more deliberately intricate than other, more common design schemes. Why do these buildings appear so different than your average grocery store or apartment building? Could there be something more to these structures than the typical purpose? Let's find out. As stated, the function of a building can typically be determined by its form. When we see the Cathedral at Notre Dame, the Taj Mahal, or the Capital Building in Washington, DC, we see something unique among other structures. Sure we can see columns, spires, domes, arches, etc., but even these components can be seen elsewhere without the key ingredient of sacred geometry. Along with the above articles, there are a few other aspects of this golden mean that have not yet been covered. Let's examine. There are aspects of sacred geometry which further suggest that these forms are much more than just simple, aesthetically pleasing shapes. In the recent article Sonic Geometry, the interrelated aspects of the platonic solids were discussed. 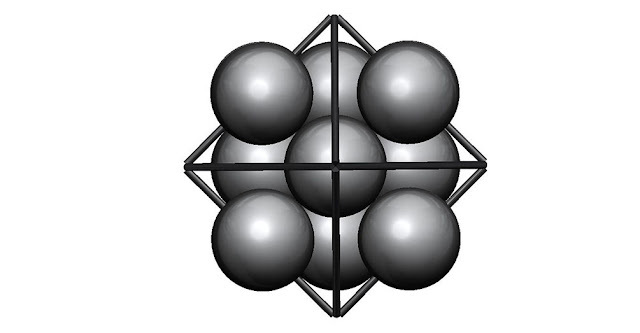 The relationships between these solids suggested how they are somehow intended to fit together (or to occupy the same space with corresponding points of intersection). There are a numerous interrelationships among the Platonic solids. 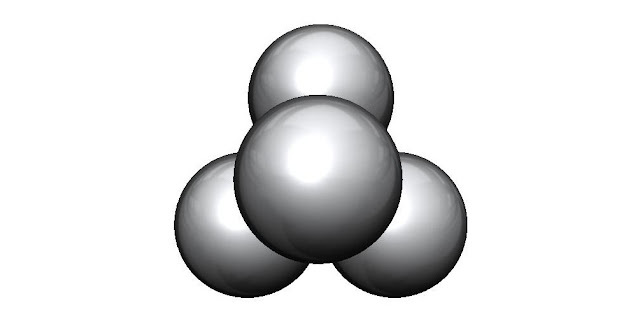 One additional relationship can be seen by the way in which close-packed spheres fit together. 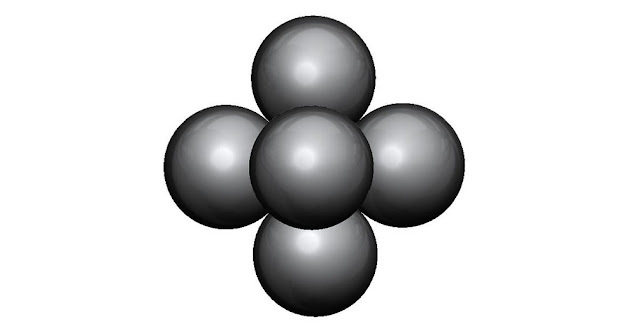 "Four spheres in tetrahedral configuration are the greatest number that can be in simultaneous contact." "The tetrahedron, outlined on its edges, with a second set of spheres introduced into the interstices; eight spheres in all." "The next most regular grouping of spheres is six in octahedral configuration; each sphere touches four others." "The octahedral group outlined with edges, with eight additional spheres in the interstices." "When the edges of the second set of spheres are outlined, the cube emerges as the dual of the octahedron; the lines joining the center point of the faces of the octahedron results in a cube. 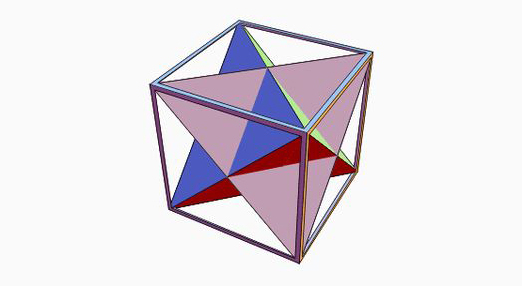 Conversely, octahedron is the dual of the cube." 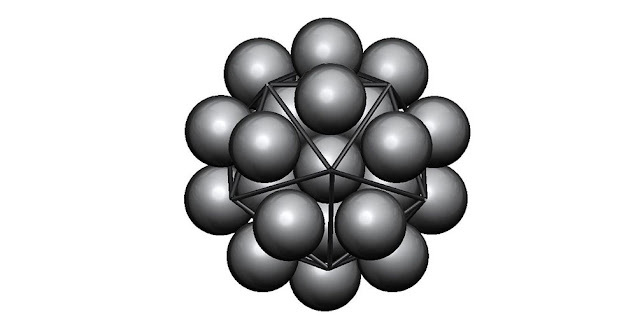 "The icosahedron, with its edges outlined, shown on its 5-fold axis with a sphere introduced into each interstice – 32 spheres in all." 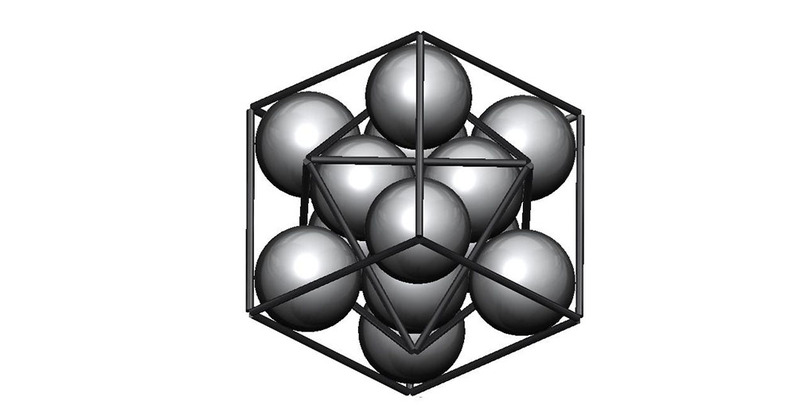 As we can see with various arrangements of close-packed spheres, the Platonic solids can be clearly demonstrated. (This seems to be another aspect of traditional scientific training that schools have failed to properly teach.) 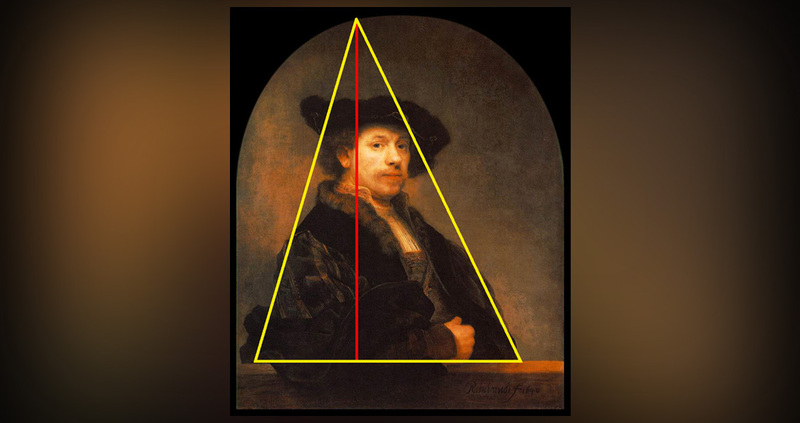 This interrelationship is uncanny, and serves as further evidence that these forms are much more than simple combinations of equilateral shapes. As interesting as this may be, there is one arrangement of these close-packed spheres which stands out. 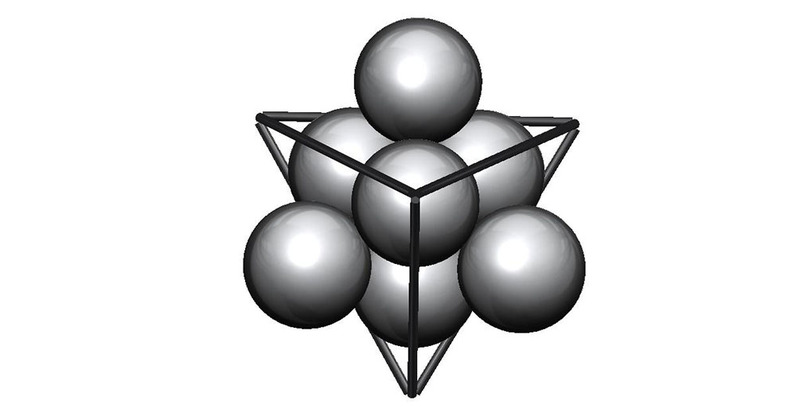 This is the arrangement that depicts all of the Platonic solids nested together. 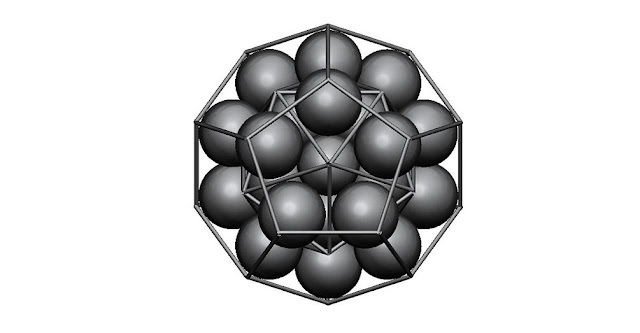 "The added set of spheres, when outlined, shows that the regular dodecahedron is the dual of the icosahedron. This demonstrates a hierarchy of the five regular or Platonic solids by the criteria of numerical and structural economy." When we take note of this form, we can see a striking similarity between this nested geometry and the Mandelbrot set (or Mandelbulb in this case). It is believed that this similarity depicts the congruency between the Platonic solids and the Mandelbrot set. Somehow, this set seems to represent the interrelationship between all of the solid forms, and because of this relationship we are able to see both of these concepts demonstrated together throughout nature. As we may see in nature, the Platonic solids fractalize out into infinity, and as they do, they form fractal spherical geometry. There spheres are made of smaller spheres, and those are made of spheres that are smaller still, and so on. We have established the strong relationship between the Mandelbulb and the Platonic solids, and this relationship holds many implications. It was discussed in the article, Sonic Geometry, how the golden mean was key in the relationships between the solids as well, implying the relationship between these three concepts. If we look at the Mandelbulb once more, we may see not only the depiction of the close-packed spheres, we can see something more. 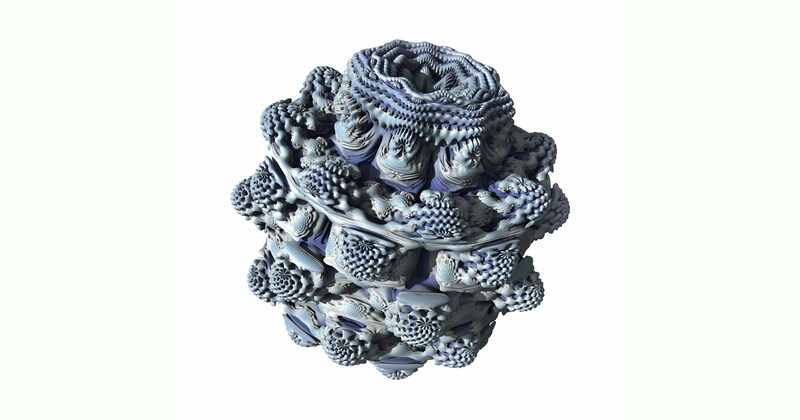 The Mandelbulb has uncanny similarity to the close-packed spherical form of the nested Platonic solids. It is as though there is a rotational aspect to the form of the Mandelbulb. The bottom of the form seems to be larger than the top depicting asymmetry along the center of the form. This asymmetry may be an indicator of why we see nested geometry within the grid-lines of planets as well as stars. As discussed in previous article, stars and planets exist as spheres and spheroids with toroidal rotation of fluids on (and often beneath) their surfaces. This geometry manifests as volcanic activity at the nodes of nested geometry, including the northern and southern poles of each planets. It can also be seen in atmospheric phenomena on the Earth as well as gas giants such as Saturn. This nested geometry can also be seen on the surface of our sun in the consistent bands of sunspots. To add, we also see phi ratio in numerous depictions on the Earth's surface in hurricanes and weather systems, and even on continents such as Africa. The Earth is a perfect combination of the geometric forms of interest. These forms can also be seen in Buddhist mandala art. These traditional works are thousands of years old, and yet they hold within their design principles of advanced physics—suggesting that, like much of the ancient wisdom passed down from ancient history to present, this knowledge came to Earth from ETs. It seems these Tibetan mandalas represent a 3-dimensional form of nested geometry--the star tetrahedron inside of the cube.. The significance of these forms within these mandalas were discussed in a past article titled Wisdom Teachings with David Wilcock - Pyramid Power - Fire in the Middle (after the pertinent Wisdom Teachings episode). Below is a description of these mandalas and the Buddhist traditions they represent. Within the square palace or temple are images of deities, which are usually the Five Dyani Buddhas (the Great Buddhas of Wisdom). The iconography of these deities is rich in symbolism in itself. Each of the Dyani Buddhas represents a direction (center, south, north, east and west), cosmic element (like form and consciousness), earthly element (ether, air, water, earth and fire), and a particular type of wisdom. Each Buddha is empowered to overcome a particular evil, such as ignorance, envy or hatred. The Five Dyani Buddhas are generally identical in appearance, but are each represented iconographically with a particular color, mudra (hand gesture), and animal. See the article on the Five Dyani Buddhas for more information. In these forms we see the depiction of the star tetrahedron (implying nested geometry), the circle which represents the spherical resonance wave around this form, and a number of other depictions. The Buddhist tradition maintains that this is the origin and the center of all creation. There is the star tetrahedron or merkaba in the middle, which depicts both a geometric object in the center surrounded by the merkaba. This is the form from which the entire universe was formed, and this can actually be seen in numerous examples in planets and stars. One interesting point to note is that the Buddhist monks' traditional meditation consists of the chanting of the Ohm. According to the tradition, this Ohm was the sound that the creation made as it formed (and continues to make). This is represented by the resonance wave emanating from the center of this form and fanning out into the universe. The rainbow colors in these mandalas represent the seven colors of the rainbow as well as the seven chakras. This may also be connected with the tradition of the rainbow body meditation. By concentrating on this form and chanting the Ohm, a practitioner is said to be able to connect with the center of creation and to their true identity—the infinite and the infinitesimal geometry, or what could be termed Intelligent Infinity. So all of this is interesting, but what does it have to do with traditional architecture? We have mentioned that phi ratio can be seen in the design of numerous sacred structures from both ancient and modern architecture. Churches, cathedrals, government structures, banks—all of these are considered valuable, and are set apart from other structures, and as we will see, they all include multiple aspects of sacred geometry within their design. We may see these repeated forms and wonder why such design schemes were so frequently used. As previously mentioned, the components of phi ratio, the Platonic solids, the Mandelbrot set, the sphere and the spherical torus commonly come as a single unit within nature. Wherever we see these forms we see life in countless variety. It may have been that the architects and engineers behind many sacred structures believed that by constructing these forms in line with nature, the energies which feed and sustain life would be channeled through these structures. With this in mind we may wonder if this is truly possible. Can natural energies be channeled through an artificial structure? The answer seems to be a resounding “yes,” and we can see this through the study of pyramids. The validity of pyramid science has been discussed in numerous articles in the past. As it turns out, the inclusion of phi ratio in a building may produce similar results as pyramid design. According to the Russian scientific study, the most effective pyramids were found to utilize the exact slope angles which correspond to the angles of a natural vortex (between 70 and 72 degrees). By imitating natural forms in this way, pyramids and other artificial structures can harness natural forces, and assist the occupants inside to increase their health, vitality, and consciousness. Let's discuss how. The golden ratio (phi) is a function which demonstrates infinity. Like the Mandelbrot set, this ratio extends down to scales too small to be seen without magnification. No matter how small of an area is involved, that area can still be divided by this ratio. The function creates a space within a space, within another space, and so on. According to the new model of physics, when we have any mechanism which accesses infinitely microcosmic scale, we have the potential for tapping into the infinite potential of vacuum energy (or zero point energy). Below is an excerpt from an earlier article which describes the theories of Dr. Nassim Haramein and just how significant the vacuum energy is. The excerpt starts out with Dr. Haramein's theoretical process. This vacuum energy is thought to be infinite by modern scientific theory. This energy is spacetime itself, and when it is harnessed, the possibilities may be limitless. We may remember the modern theory that spacetime releases photons when it is contorted with enough intensity. This is the same principle which is thought to produce such extreme amounts of energy in the sonoluminescent process. We may also recall that this process is the same torsional force involved in pyramid energy. As the pyramid funnels spacetime/gravity upward, it twists spacetime and produces virtual photons. This process may very well be the same process which occurs in these sacred architectural structures. (We may note that virtually all sacred architecture is made of stone). However, this still does not completely answer our question of how these structures channel vacuum energy without a pyramid or a spherical flask of water. To answer this question, we need to understand the concept of resonance. We know that musical instruments are basically resonance chambers which can vibrate at specific harmonic frequencies on the diatonic scale. As a key is pressed on a trumpet or a saxophone, the size of the chamber of these instrument changes, thus changing the size of the resonance wave and the note that is heard when played. By creating these specificity sized standing waves in variation, music is made. Cathedrals, mosques, and even some governmental structures are specifically designed to be resonance chambers. These buildings are precisely tuned so that when the occupants chant or sing, the tones are reverberated throughout the internal space. This ability of these buildings to sustain sonic resonance seems to be in combination with the function of resonating the natural frequencies of the ley lines upon which they were built. 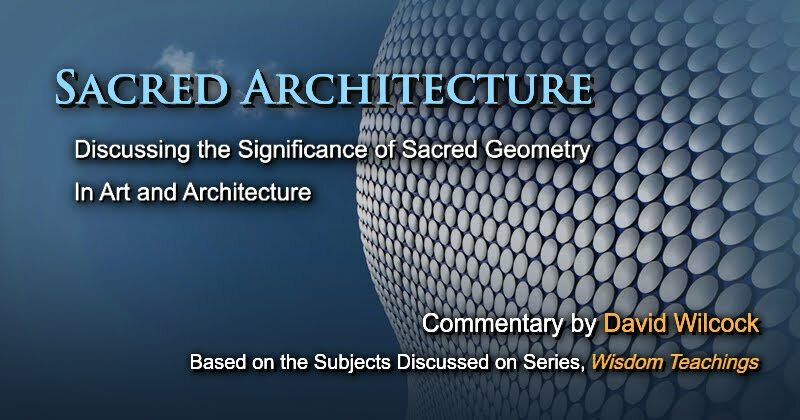 From what we have seen in this study, it seems very possible that sacred architectural structures are designed to harness universal energy by utilizing the exact proportions through which these energies naturally flow. In so doing, architects tuned these spaces like musical instruments, creating spaces which constantly resonate with natural energy. Notice the fractal nature of these stained glass windows. They clearly depict arches within arches, which are within other arches. Sacred architectural structures channel universal energy by the utilizing phi ratio. The proportions and spacing of the columns, the domes, the spires, and arches may all act as musical and energetic resonance chambers—toning the Ohm into these spaces and creating a heightened state of consciousness for all of those who frequent these buildings. It may have also been that the art work within these buildings served as a cryptic way of communicating the knowledge of phi ratio from one generation to the next. It may have also been that these images were thought to raise the consciousness of those who focused on them. 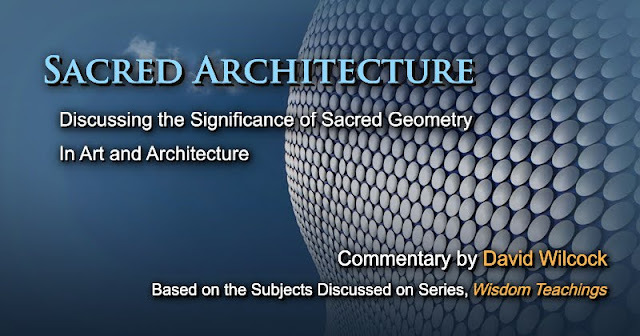 The original artists and architects behind these sacred structures seem to have understood the principles of sacred geometry, and universal creation. These people worked meticulously to infuse sacred structures with as many iterations of sacred proportions as they could. It may have been that in doing so, those who commissioned these works intended to ensure their respective empires and/or legacies lasted for generations. We may note that even though these elitists were more aligned with the negative polarity, the sacred geometric principles they used were not at all negative. These are principles upon which the universe is based. They simply represent energy with no polarity included. These principles were once held within the ancient mystery schools and were only available to secret societies such as the Freemasons. The reason most of us are only learning these principles now is that the secret which has been so heavily guarded in the past, is now coming to the surface. Various areas of scientific study have touched upon these principles, but most of these scientists never took the time to explain them in a comprehensive way in which the average person could understand them. This was a major reason why David Wilcock made such efforts to break these principles down into plain language—so that the rest of humanity could benefit from this knowledge for themselves. These principles were contorted into the control mechanism that has limited humanity, and maintained our subservience for millennia. However, today is a new day. We have the opportunity to shed light on these and every other potentially creative force in our universe so that we all have equal ability to create our life experience as we see fit.